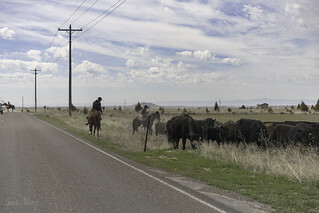 Cow pies dotting Simco Road are the first sign of unusual traffic ahead. 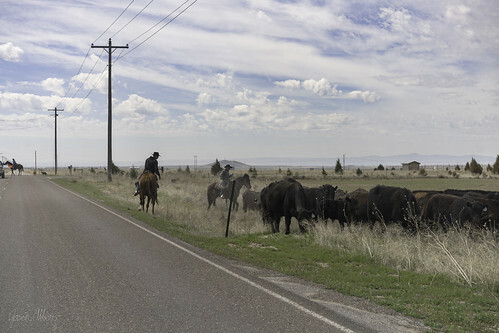 Soon we see cowboys on horses flagging traffic while others drive cattle alongside the road. As we continue past the little cattle drive, one of the three girls in the back plays “The Duck Song” from her phone and I learn a new favorite tune. Somehow I totally missed this when it was new. But now I’m totally in.